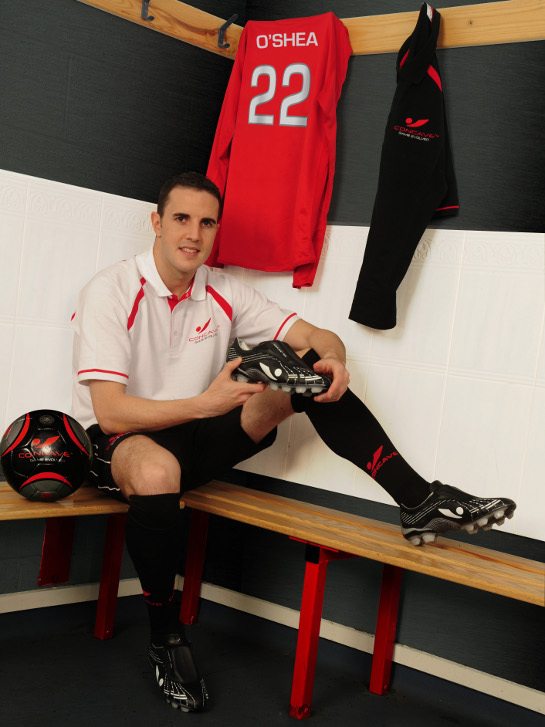 Following in the footsteps of Portsmouth’s Danny Webber, John O’Shea recently became the first international player to wear Concave football boots in the Premier League. The Republic of Ireland midfielder, a former wearer of adidas adiPure‘s, is set to become the ‘face’ of the Concave brand in the UK and beyond and, as such, has made his first public appearance for his new sponsors in Manchester. Our reporter Kyle managed to corner him and ask him the burning football boot questions of the day. 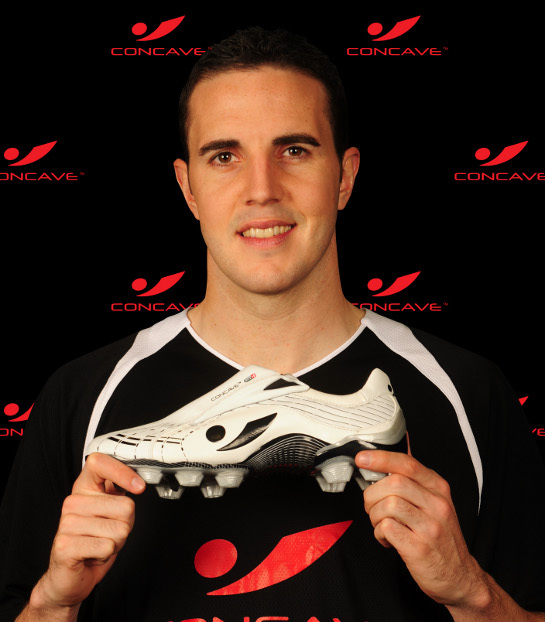 Kyle: Having played previously in very classically styled football boots, what drew you to the Concave design? John: Initially, obviously it was the design in particular at first, I wore them a lot in training obviously. Added protection was also – hopefully – going to be of added benefit to me! Just the quality of the boot all around! Kyle: How long before your Concave debut against Chelsea did they present the football boot to you? John: Probably nearly two months, two and a half months. The club’s podiatrist is fairly strict; with a lot of high-profile players injured and people saying maybe the boots aren’t strong enough – lots of different things. So, once we liaised with Steve Lyons over the quality of the boot everything was given the OK to train in them. Obviously in Manchester there’s quite a bit of rain and stuff, so it’s best to try the boot it different situations; the feel and the quality of it become so important. Kyle: Having had the very rare honour of playing in every position for Manchester United do you find the football boot flexible enough to cope with any challenge? John: The two proper games I’ve played in the boots I played at right-back, so as such I haven’t experienced playing competitively in different positions yet. What I can say is thew boot is very comfortable, and from training in the boot I knew there was going to be no problem. Kyle: Not practised any goal kicks in them then? John: No! Not yet, and hopefully I won’t ever have to! Kyle: What would you say are the main differences with this football boot to ones that you’ve worn previously? Kyle: What do the other guys in the dressing room think of your new football boots? John: The first time I wore them, I was actually with the Irish team – obviously a few of the boys had never seen the boot before, some had, but the rest were just questioning what they were like! A few of the lads have said they’ve gone back to their club and tried them out themselves, even a few of the lads at United are trying the boot out. Just been hearing positive feedback to be honest! Kyle: When it comes to flashy football boots – what does Sir Alex have to say? Any Restrictions on what you can and can’t wear? John: No, no – the only restrictions are kind of in the youth team – where they’re moreso told to wear black. 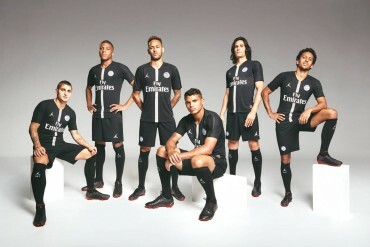 Even, other ages, like from the academy; they’re told to stick to their black boots. In the reserve team and first team squad, there’s no problem with any colours -' obviously the more brash colours are picked out, especially if you don’t play too well! Really doesn’t help the situation! Kyle: Concave are such a new and ambitious brand – is it exciting for you personally to be in ‘on the ground floor’? John: That’s what appealed to me! I’ve known Gavin (a member of the Concave Player Liaison team) nearly since the day I moved over to Manchester. He knew me and Danny Webber from the Youth team, Danny was the year below me at Manchester United; so that where the connection came from. Gavin spoke to me about the Company, about their ideas; and all that was a huge factor in being in at the ground level, so to speak, so I can hopefully so the boot grow and the company go from strength to strength. Kyle: What were the first boots you owned? John: Good question – I had a pair of Gary Lineker Quasars! A pair of Paul Gascoigne Puma’s, well I think they were! Kyle: No Roy Keane Hi-Tec’s then? John: I was close to buying them once, but I never did! Kyle: Lots of English influence there – who was your favourite player as a kid? John: Lots of Irish players – Paul McGrath was one, obviously playing in a similar position as well as moving into midfield too. Maldini, and a German player – Mathias Sammer – they way he attacked from defence, it was something I always looked to do. Kyle: With Manchester United’s current squad, what do you think you chances are of taking home the title again this season? John: Yeah, as the classic one goes – there’s plenty more twists and turns left! I mean, from the last couple of league games people were saying Arsenal are definitely out of it but then we draw with Aston Villa and Chelsea lose to Everton and everyone goes Arsenal still aren’t out of it! We’re not in the ideal position because we’re not on top but, I think we’ve got to be confident. People are saying that some teams have easier run-ins, lots of different things about some teams are fighting for their survival – it’s not going to work out that way I don’t think – you’re just hoping, obviously I’m injured at the moment, but you’re hoping everyone stays fully fit. That’s been the key to success. Kyle: Even for someone so experienced, is it intimidating coming back into a squad when you know there’s so much riding on every game? John: No – that’s something that would drive me on to get back fit, quicker! And that’s something you’ve got to be careful of, obviously I don’t want to push myself too hard and make a longer delay to coming back. This is the first, I’d say, major injury that I’ve had. Frustration has been a huge part of it! Seeing the lads playing in these huge games, away at the San Siro, they’re the sort of games you want to be part of! Definitely wouldn’t be intimidating at all, it’d be more excitement, adrenaline to get back to best! Kyle: What’s your opinion on the proposal of a play-off for the last champion’s league spot? John: That’s one of them that I don’t think should have been brought out into the public! I think they maybe should have thought about it a bit more – but obviously it’s one of those things that if they do bring it in you’ll have to deal with it. It’ll be more exciting in general. All the managers that spoke about it have all made good points about it and they’re the cases for and the cases against it. Obviously, we’ve been fortunate. The last few years we’ve won the league. But it’d be a strange situation to see a team in 7th – a team maybe 40 points behind the team that win the league could end up in the Champion’s League would be very strange. But, you never know what’s round the corner! Interesting stuff – I wonder who else is trying them for United? I remember an article saying Concave must be gutted to lose O’Shea after 2 games. Seems to me that John was even more gutted than they were. Nice one. Will be interesting to see whether these boots take off or not. This sweetspot looks a bit tacky but if it works it culd be the way forward. good looking boots, reminds me of my +F10. Guys i have a pair they are awesome. Give you more power and added protection. These boots look ok, I couldn’t imagine playing in them myself as I am a winger. I like my boots a but more streamline. I have these Hot shot gels that I bought on the net for ÂŁ10, they do everything these concave boots do and much much cheaper. Check em out!